The Electronic Travel Authority (ETA) is the name given to the most commonly used Australian Tourist Visa allows you to stay in Australia for up to 3 months on each arrival within 12 months from the date the visa was granted. The ETA Business Visa allows business people to visit Australia for work reasons for up to 3 months to conduct business. 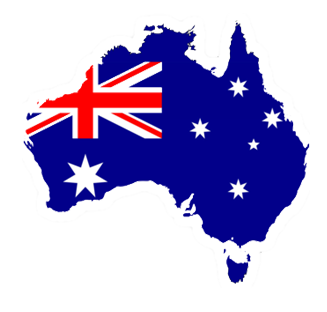 It operates on the same conditions as the Australian ETA Tourist Visa. The eVisitor Visa which allows individuals to visit Australia for business visitor purposes such as: attending a conference, negotiating or exploring business opportunities and stay in Australia for up to 3 months at a time within the 12 month time frame. To apply for eVisitor visa, you must hold a passport from one of the eligible countries.. If your nationality is not listed, you will need to contact an Australian embassy or the Department of Immigration to obtain your visa. *British protected persons, British subjects, and British overseas citizens should apply for a subclass 600 visa, and we are not eligible for this ETA at this time. Make A Mistake? We'll Amend For Free before approval. 1) We, Meet Weekend Tours & Travel Pty Ltd, do not have any affiliation Australian Government Authority. We also do not hold any right to grant your visa of any kind. However, we only assist our client to process the visa application such as Australia ETA / eVisitor visa. Final decision of all visa approval depends on the Department of Immigration and Border Protection (DIBP) authority of Australia. 2) When applying for ETA / eVisitor visa Australia using this site we expect you to provide the true and correct information as to the best of your knowledge to avoid any delay or refusal. We do not take any responsibility if your visa application is refused or not approved by the Department of Immigration and Boarder Protection Authority for providing incorrect information or for any other reason. It is your responsibility to recheck all information using our preview and modify options before submitting your application. 3) When applying for Australia ETA visa you authorise Australian Visa Authority to use your personal information for the purpose of ETA eVisitor visa. 4) By applying for Australia ETA / eVisitor vis you confirm that you are in good health and free from tuberculosis. You also confirm that you do not have any criminal convictions for which you been sentenced for a collective period of 12 months or more, even though it hasn’t been served yet. 5) Delays and Referrals – in some cases ETA visa application will be ‘referred’ to Australian authorities and cause further delay. You might or might not require to provide additional information on top of your application information. 6) Referrals and Refusals – When your Australia ETA / eVisitor visa application referred, refused or rejected for any reason by Australian authority you may appeal. However, we do not and will not offer any advice of how to proceed or what to do in this event. We only assist our clients in processing of visa application. As such, no refund will be granted. 7) We only provide full refund if your application is not processed by us within the requested time frame and we receive request via email to stop further processing. However, in the event when your visa is processed through our website and an existing ETA is established, fee will be non-refundable and it will be used for recovering the use of our system resources. 8) No refund will be provided once application is processed and you have decided not to utilise it or have changed your mind.